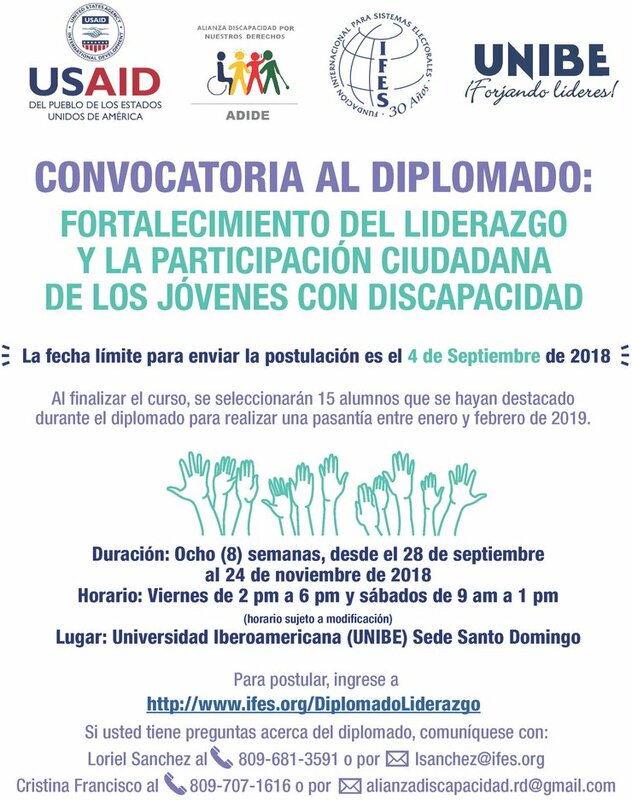 In 2018, Disability Alliance for Our Rights (ADIDE) and the International Foundation for Electoral Systems (IFES), with the National Iberoamerican University of Santo Domingo (UNIBE) and the support of the United States Agency for International Development (USAID), are calling for applications to the Building Leadership and Citizenship Participation for Youth with Disabilities in the Dominican Republic course. Text about the course is available in Spanish below. Al finalizar el curso, se seleccionarán 15 alumnos que se hayan destacado durante el diplomado para realizar una pasantía entre enero y febrero de 2019.